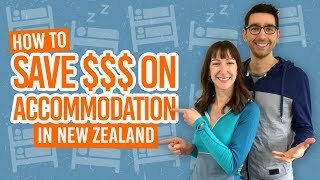 Lower Hutt activities you Can’s miss! Get the best of city life and outdoors adventures in the Wellington suburb of Lower Hutt! Just a 15-minutes drive from Wellington city centre, Lower Hutt is blessed with bush-clad hills, epic coastline, quaint seaside villages and a wealth of cafes and shops. What’s more, Lower Hutt is where the city of Wellington began, so the suburb boasts heritage architecture giving an interesting vibe to the place. See all of these aspects of Lower Hutt and more in this list of things to do in Lower Hutt! 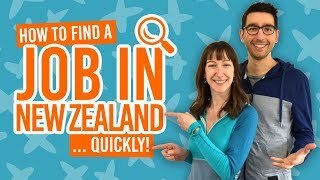 Whether you are based in Lower Hutt for work or just want to see a different side to Wellington, there are plenty of things to do in Lower Hutt to keep you super busy! 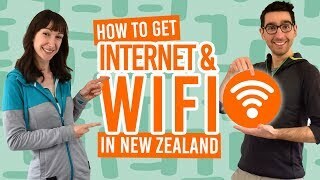 Check out more things to do in the area with our 11 Things to Do in Hutt Valley. Catch a ferry to Matiu / Somes Island and explore this wildlife reserve, free from rodent predators, home to tuatara and native birds. On top of that, the island is steeped in history from early Maori settlement to a prisoner of war camp. Guided walks are also available. Location: Ferry services operate from Queens Wharf and Days Bay seven days a week, and from Seatoun on Saturday and Sundays. One of the best places to discover Wellington’s heritage is down Jackson Street in Petone. The good-looking street is home to a mix of architecture, boutiques and over 60 cafes, bars and restaurants! Go and indulge! If the weather is not playing ball then play ball at the Strike Entertainment Centre. This 10-pin bowling venue has a bar and is a great place to get competitive with friends. Location: 399 Hutt Road, Alicetown. Petone is steeped in history both with the local Maori tribes and by being the first organised European settlement in the country. Learn the stories of this history in the free-entry Petone Settlers Museum. For more free museums to check out, see 12 Free Art Galleries & Museums in Wellington. One of the biggest adventures you can experience in Lower Hutt in the 119km Rimutaka Cycle Trail. The grades 2-4 bike trail has it all from historical sights to forest rides to coastline scenery. What’s more, the ride starts from Petone Wharf in Lower Hutt so spend the evening experiencing the lively atmosphere of Petone, then hit the bike trail the next day! Check out 10 Great Bike Trails on the North Island for more bike trails worth exploring. Location: Start from Petone Wharf. 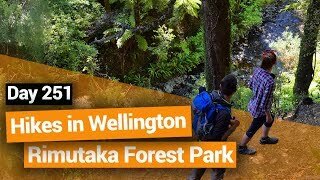 Formerly known as the Rimutaka Forest Park, the Remutaka Forest Park is packed with hiking trails encompassing mountain, forest and riverside scenery. There are a wide rage of walks, from short walks suitable for families to multi-day hikes for backpackers! Location: The most popular entrance and closest to Lower Hutt is via Catchpool Valley. Ride alongside a long stretch of coastline and up the hills of the Remutaka Ranges on an epic quad biking adventure. 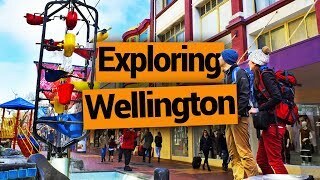 See Wellington in a completely different way on a range of expeditions from 1h30min to 2-day missions! Check out more quad biking adventures in 10 Places to Quad Bike in New Zealand for Adventure Junkies. Location: Wellington Adventures on 1051 Coast Road, Wainuiomata. Visit New Zealand’s first lighthouse along a 16km walking/cycling trail at Pencarrow Head. These lighthouses make an awesome picture opportunity and a great excuse to stretch your legs or rent a bike for the trail. The ride is about 1h50min return, while walking takes about 4 hours. Location: 45 minutes drive from Lower Hutt. Follow the Pencarrow Coast Road. 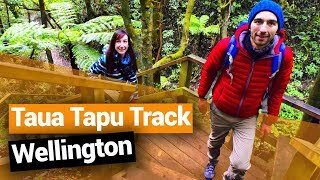 This awesome little park is a great spot to check out super close to Lower Hutt town centre! Take a torch and check out the cave weta in the weta cave. See a waterfall, bush walks and take a picnic in the beautiful gardens. Location: 5 Dowse Drive, Maungaraki. New Zealand’s farmer’s markets are a must-experience! Check out the popular Saturday Riverbank Market full of fresh food and gourmet street eats! After that, head over to the Queensgate Shopping Mall, just over the road. Location: Rutherford Street on the riverside.